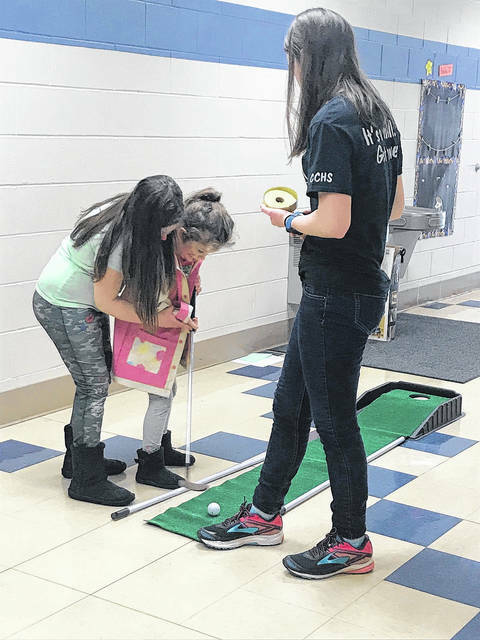 Hollingsworth East Elementary PTO held its annual carnival on Saturday, Feb. 24. The event featured family-friendly games, delicious snacks, and an opportunity for the community to give back to the school. 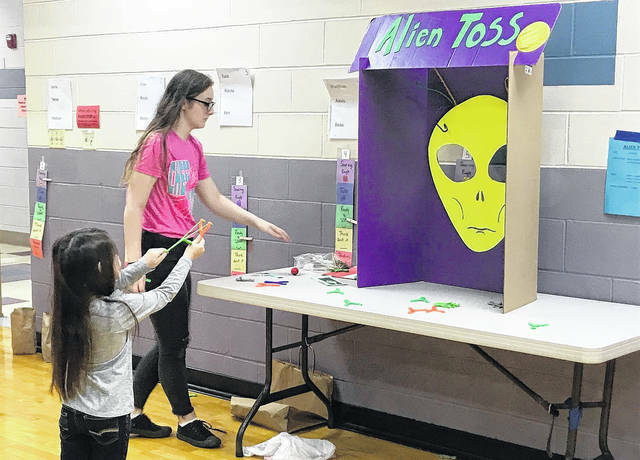 EATON — Hollingsworth-East Elementary PTO held its annual carnival on Saturday, Feb. 24. The event featured family-friendly games, delicious snacks, and an opportunity for the community to give back to the school. 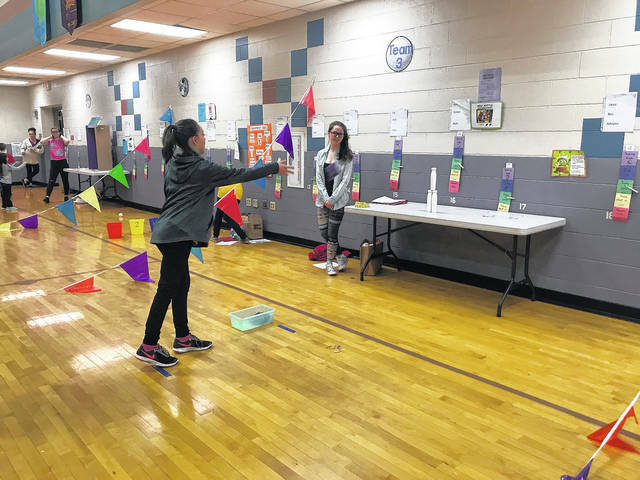 The primary function of the annual carnival is to raise money for the PTO to invest back into the school, however, the event also provides a fun-filled day for the students and their guardians. According to Nicole Pierce, PTO Secretary, in the past this event has allowed the organizations to pay for classroom iPads, field trips, different classes, and various other expenses. 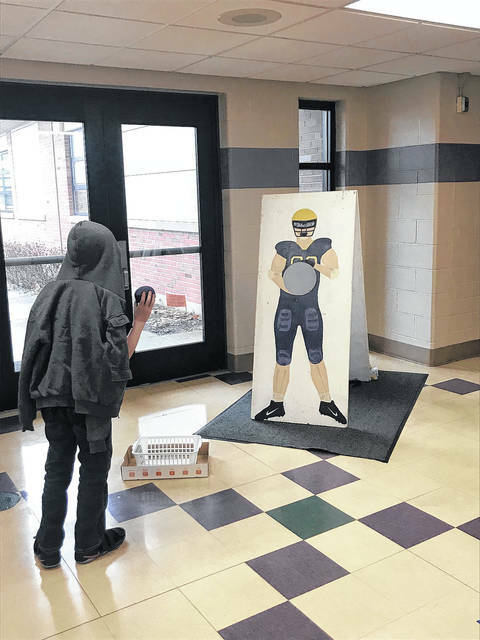 She added, there were numerous attractions set up throughout the school, including: a carnival in the gym, a cake walk, face-painting, hallway activities, and the “redemption center” to collect prizes. One of the family-favorites is Flip the Frog, Pierce explained. The kids take a hammer, whack the board, and the frog goes flying. Another favorite game is, Cake Walk, where the kids get to win cakes and other goodies. Prizes were not handed out at every station. Instead, the kids collect tickets they then bring to the “redemption center” in the dining room. This allows the students to get bigger prizes. “This event would not be able to go on without the student volunteers. Many of the attendants who are running the games are former East students. It is interesting to see them go through East and then give back to the school. I could not put this carnival on without these kids,” Pierce said. The next event the East PTO will be presenting is an upcoming Father-Daughter Dance. 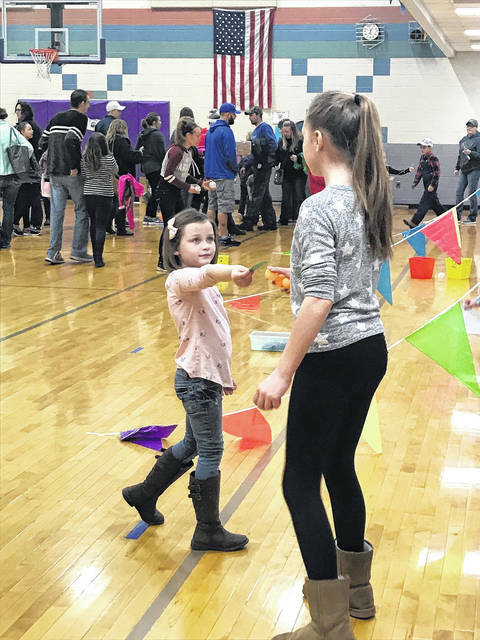 https://www.registerherald.com/wp-content/uploads/sites/41/2018/02/web1_CarnivalEdit4.jpgHollingsworth East Elementary PTO held its annual carnival on Saturday, Feb. 24. The event featured family-friendly games, delicious snacks, and an opportunity for the community to give back to the school.